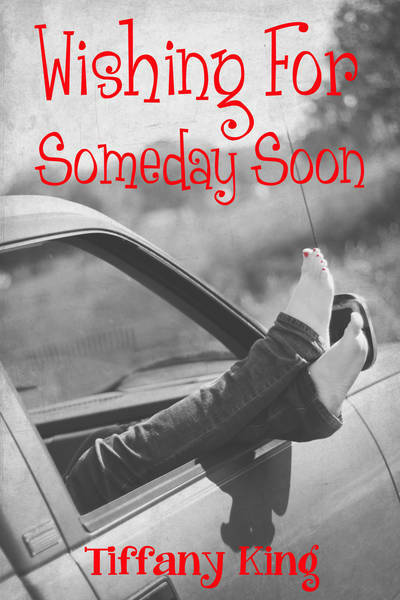 Megan Duncan, YA Author: Wishing for Someday Soon Blog Hop! Wishing for Someday Soon Blog Hop! I've been looking forward to today all week, my friends. Very, very soon the long awaited release of Wishing for Someday Soon by the amazingly talented and lovely, Tiffany King will be here! To celebrate this fantastic book's release Tiffany has put together a blog hop to get everyone pumped up. If you haven't yet heard about Wishing for Someday Soon is time to get in the know. This is a read you won't want to miss! When I was younger, I always thought of life like chapters in a book. I never knew what each turn of the page would bring, but always hoped for something better and happier. I regarded my younger brother and myself as characters that were meant to persevere, no matter what obstacles were thrown our way. Of course, our life was far from the paranormal worlds that I loved reading about. Not that you could call our life normal—not in the least, but we definitely didn’t have any cool supernatural powers or anything like that. Still, fantasizing about it helped pass the endless miles down highways that look the same no matter where you are at. If I were a paranormal character, I would be an illusionist. I had made it an art form to never let anyone know how I was really feeling. We never knew what kind of mood my mom would be in from one day to the next, so most days I was the emotional catalyst of the family, always trying to appear happy and cheerful, when inside I was screaming. My brother, on the other hand, would be a special character. Kevin is a unique soul, caring and selfless. He definitely doesn’t deserve this life—neither of us do, but at least we have each other, and I would die to protect him. I hope I win this book. but if not I'll have to buy it and devour it! Awwwww thanks guys & thank you Megan for your kind words!! Yay!!! I'm ready for the release! Thanks for posting!!! St. Patty's Day Hop & Kindle Giveaway!! St. Patrick's Day Event & Giveaway!